4. My very own happy blog postcards! 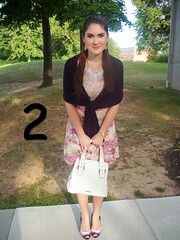 i have SUCH a hard time picking out my favourite outfit on your blog! this happens every week! u look gorgeous...ur bf is SO LUCKY! I love the 6th one!! it is really lovely! 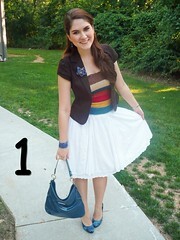 I love the cardigan and how it match with the skirt! You can definitely pull off yellow. It looks great. This was a hard one again!!! But I liked the one where you used Kendi as your inspiration :) And I love lazy days sometimes too! Especially if the three movies are on Lifetime, that is my weak spot! !